Hitman was one of 2016’s best video game releases, with the game being lauded by many due to its beautiful and expansive locations and open-world gameplay, as IO Interactive’s game sure gave players a huge amount of ways to complete its missions. The game also features additional content like the Elusive Targets and also the interesting escalation contracts, meaning that playing a virtual assassin in Hitman’s macabre world has surely been a wonderful experience to date. 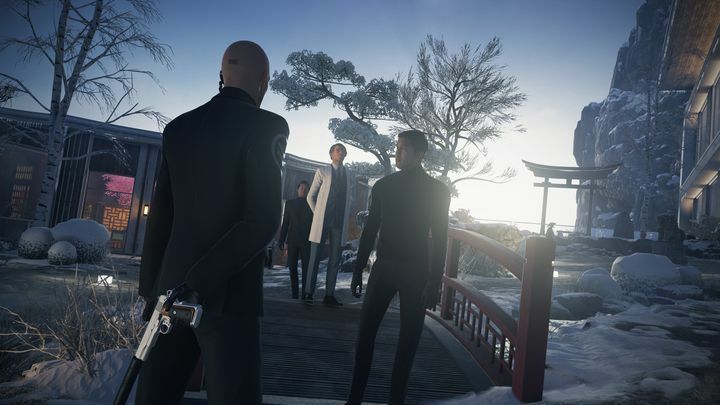 Although perhaps some players have not been so pleased with the game’s difficulty level, as aside from the Elusive Target missions, completing each of Hitman’s scenarios has not been particularly challenging. This is mainly due to the game’s “opportunity system” which guides players throughout levels, giving them clues about how to complete the mission. But now those looking for a true challenge in Hitman are in luck, as Danish developer IO Interactive has announced that a “Professional” difficulty level is coming to Hitman. This is a difficulty level that players will have to unlock though, proving themselves worthy by reaching mastery level 20 in any of the game’s missions. So what changes when playing Hitman on Professional difficulty? For starters, evading guards will be harder due to their sharper AI (Artificial Intelligence) while the “advanced security camera logic” will make getting through the game’s scenarios undetected quite a bit harder too. Combat will also be a more lethal affair, plus players won’t get a chance to save so often while completing the game’s levels. The addition of this new difficulty level will certainly be good news for Hitman fans and those who have invested quite some time with the game and want to replay the missions on a harder difficulty level, while this next Hitman update will be arriving on January 31 together with the physical disc edition of Hitman’s first season, which was released digitally last year.